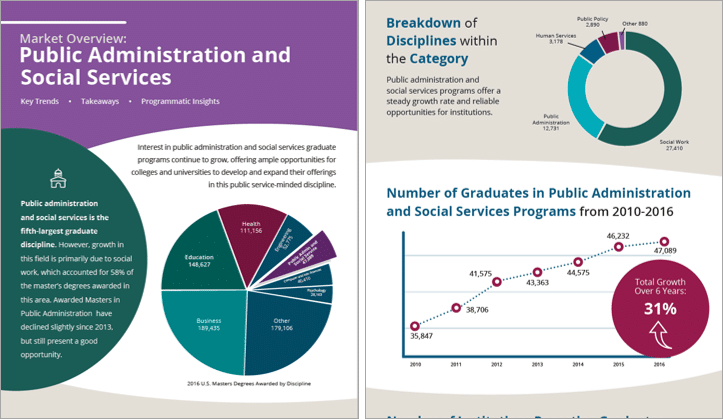 Interest in public administration and social services graduate programs continue to grow, with the number of graduates increasing from 35,847 to 47,089 from 2010 to 2016. Roughly two-thirds of this growth was in social work, however other programs and learning formats are showing opportunities for development and expansion in this discipline. 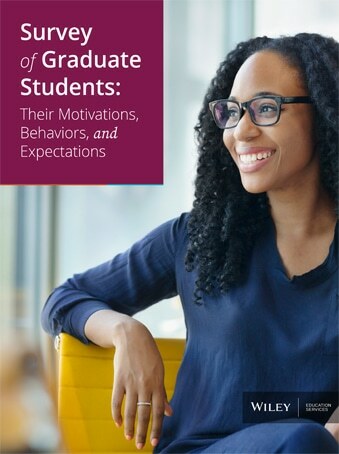 For an in-depth look into trends happening in other major graduate disciplines, download our full report, titled State of the Graduate Education Market: Trends and Insights in Key Master’s Disciplines, or visit our Resources page to choose from a variety of other higher education topics.